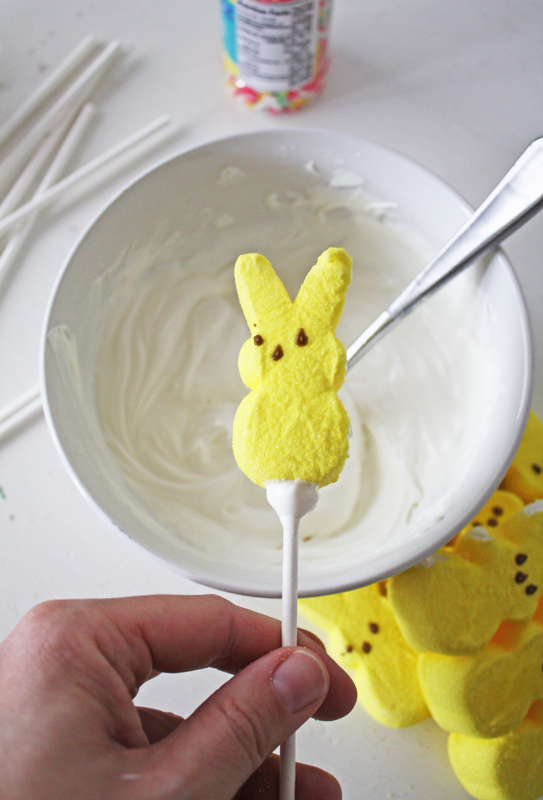 Today we're sharing a white chocolate Peeps DIY from Shauna at Ella and Annie Magazine! 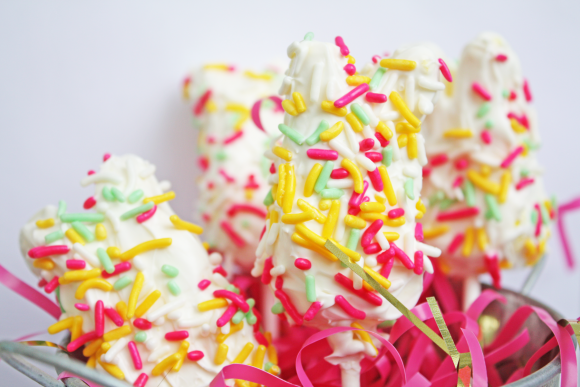 How fun are these for the kids on Easter?! Peeps are a springtime favorite in my family, and they are even better on a stick covered in white chocolate and sprinkles! 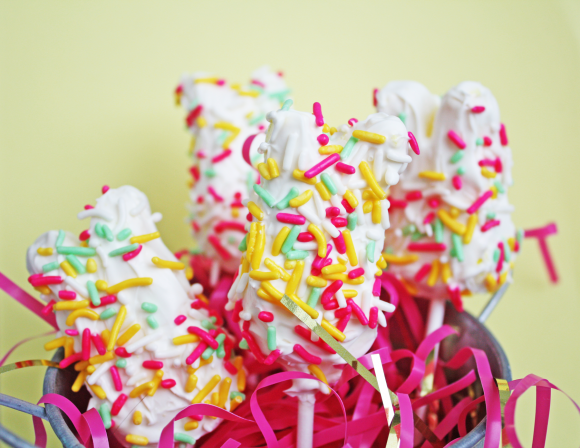 These would be a great addition to traditional Easter desserts or as spring party favors. Plus, they are simple to make. Start by melting your chocolate. I always add about 1⁄2 teaspoon of oil to chocolate. I find this helps it melt smoothly. Microwave on low for intervals of 30 seconds. 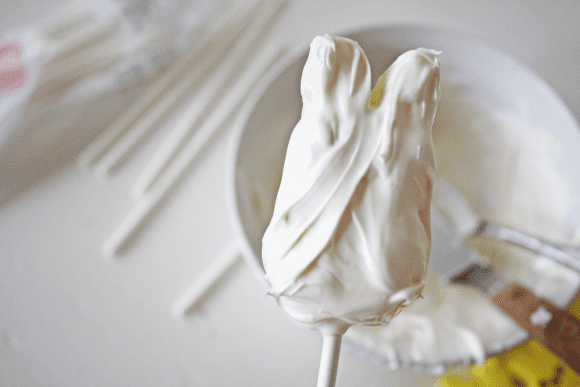 Stirring each time until melted. Dip the end of the lollipop stick into the chocolate and then into the bottom of the peep. Allow chocolate to harden. Repeat with remaining Peeps. You can place them in refrigerator for 5 minutes to speed up the process. 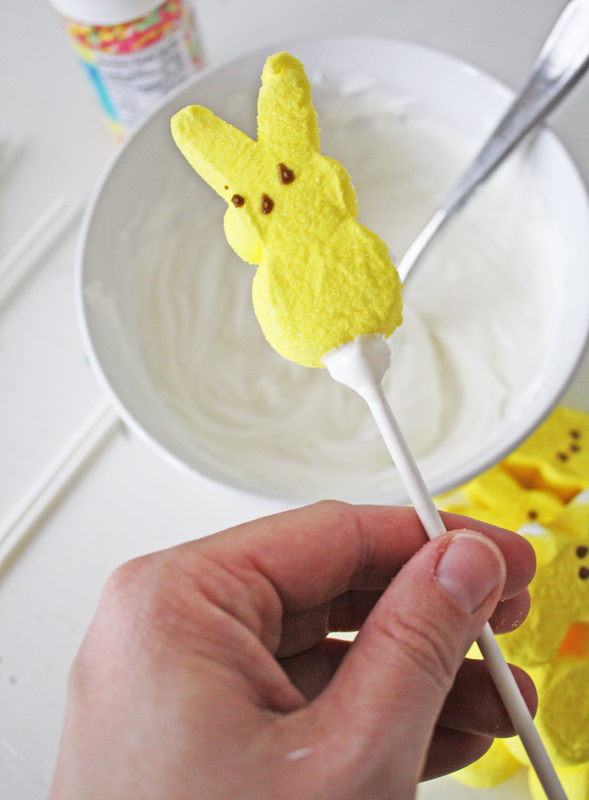 Taking a spoon, scoop the chocolate over the peep until covered. 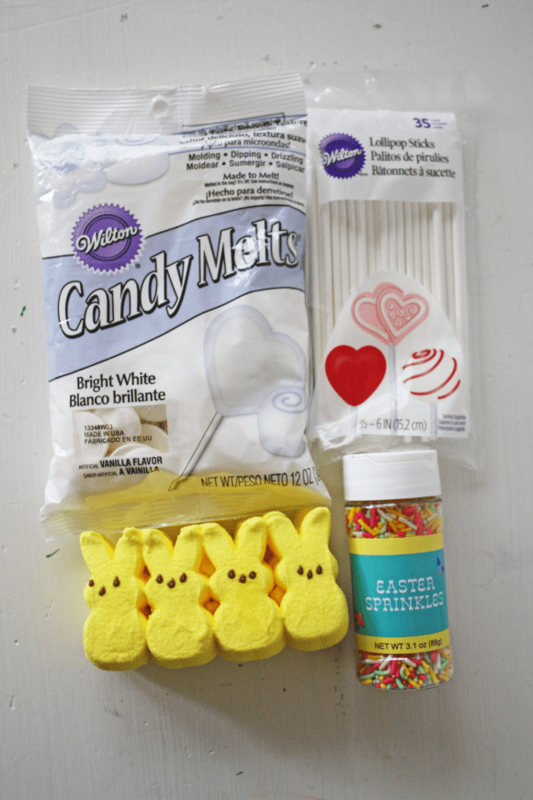 Place end of stick into a styrofoam block so the peeps can dry. Serve! 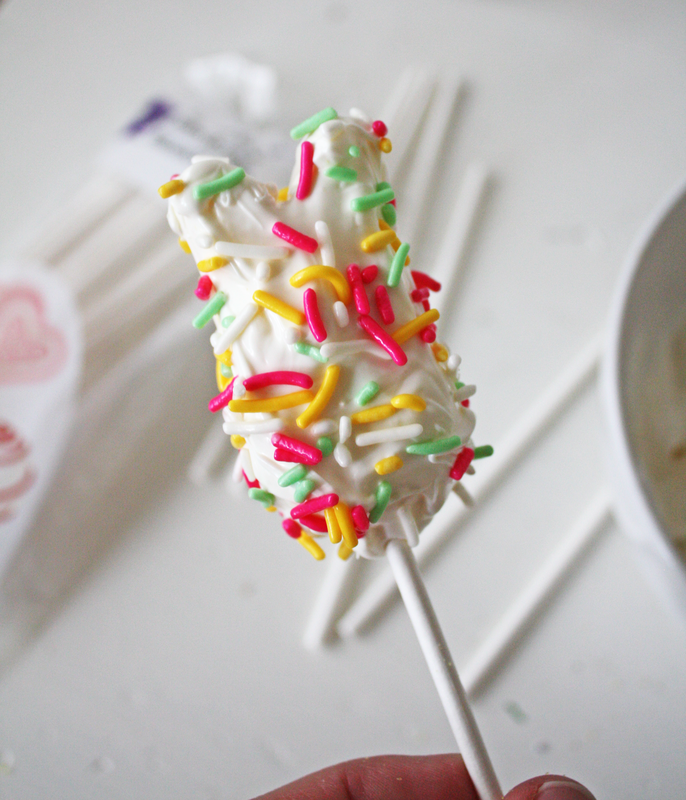 They would also be cute placed in a clear cellophane bag tied with pretty ribbon. For more inspiration, check out this amazing selection of Easter parties on our site! 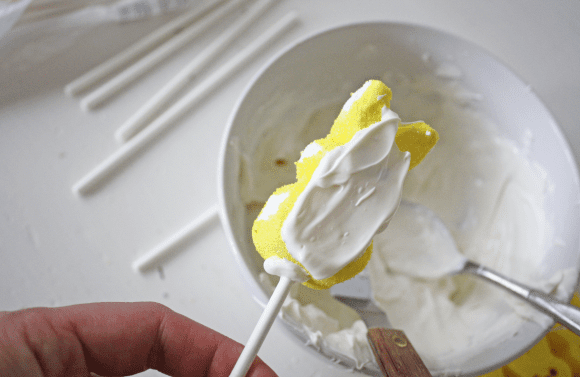 We also have a lot of free Easter printables to help you decorate for Sunday. love how they turned out! Thank you so much for sharing!